The recent college admissions scandal — that gross, hydra-headed monster involving enormous bribes, test-taking ringers and fake photos of teenagers “playing” sports they never even tried — has mesmerized many Westport parents and students. Plenty of educational consultants too. Richard Avitabile has seen both sides of the process. He’s directed college admissions offices. Since 2002 he’s been a counselor with Steinbrecher & Partners, the Westport-based group that helps students from around the globe make appropriate educational choices — not just for college, but secondary school, therapeutic programs and graduate options as well. “This is so entwined with how our society thinks about education, college and success. It’s opened a Pandora’s box,” Avitabile says of the arrest of 50 adults — including the mastermind of the long-running scam — earlier this month. Yet he is wary of painting all educational consultants with the same brush. “The goal of independent counselors is to help kids negotiate a complex process, and find a way to succeed,” he says. But because of the sensational nature of the offenses — along with the money and Big Names involved — the story has legs. 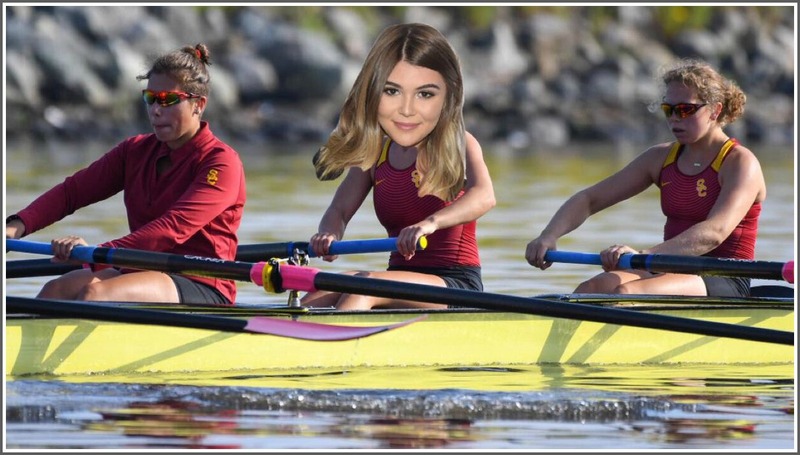 The internet was brutal after news broke that Lori Loughlin and her husband paid $500,000 for her 2 daughters to be admitted to the University of Southern California as crew athletes — though neither ever rowed. What Rick Singer, his clients and a few coaches and unscrupulous educators have done “devalues the worth of students,” says Avitabile. “These parents somehow felt they had to rig the system for their kids. I don’t think those families had to do that. It’s not easy, he admits. Educational consultants help people with means (and plenty of pro bono clients) through the long process. Steinbrecher & Partners — and many other educational consultants — often assist families who lack the financial or other resources that well-heeled clients have. “We truly enjoy working with students who are eager for an education, helping match them to a school that’s right for them,” Avitabile says. Most educational consultants help students focus on their passions, and choose a school that is right for them. After 17 years as an educational consultant — and 3 decades before that in college admissions — Avitabile is convinced that many families can make excellent decisions about college. “I love it when a student takes the lead, and parents support the goals their child has for education,” he says. “Our thrust from the beginning is to put students in charge. 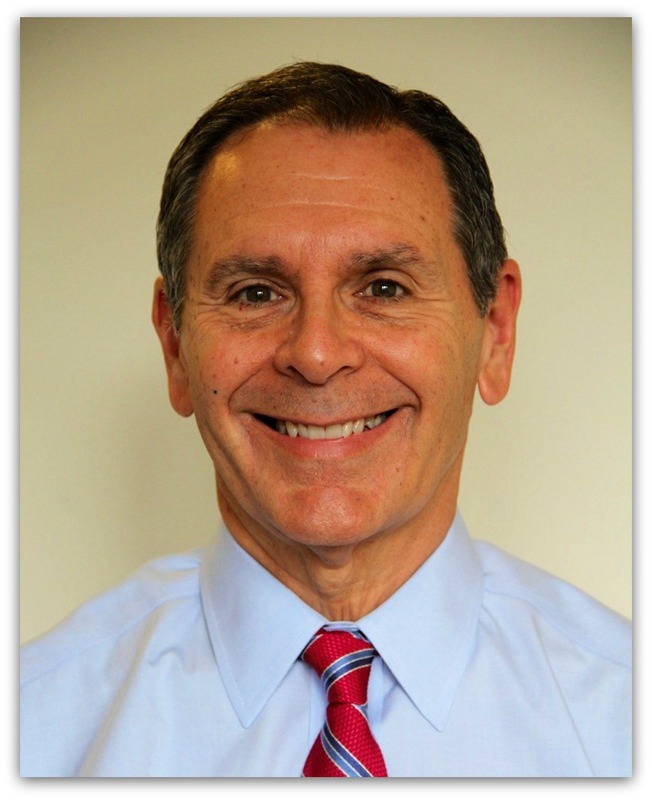 This entry was posted in Education, Local business, People, Teenagers and tagged college admissions, educational consultants, Richard Avitabile, Rick Singer, Steinbercher & Partners. Bookmark the permalink. I have mixed feelings about the college counseling business. My wife and two sons have all earned extra money by working part-time in this field. Definitely some student/clients improve their academic skills and self-confidence from these services. The flip-side is that the counselors contribute to the whole hyper-competitive environment where one’s status in the world is based on brand-name college acceptance. Also, while the Singer case is exceptional, I know of situations where counselors have essentially written essays on behalf of their clients. MEMORY SPIT BACK — GO TO CLASS. And If it’s not Y H OR P IT REALLY DOESNT MATTER. All very nice and big pats on the back all around. It’s very simple and as old as the stars. College is meant for those who can cut it. Good story, Eric. Not sure why we are all expected to stick to a system that doesn’t serve everyone. Good education comes in many forms. “They believe the scandal involves “a very small number of applicants, and a very small number of colleges and universities.” While I’m sure there has been a lot of recent soul-searching among professionals in the college counseling field, I sincerely doubt such naiveté. In the 2 billion dollar educational consulting sector the hypothesis that only one person is fraudulently practicing, is highly unlikely. This is the tip of the iceberg. Richard, I realize the process has changed dramatically since the time my friends and I graduated from Staples in 1971. And I don’t have kids, so I have not been involved with college applications from a parent’s perspective. But I do have a couple of questions for you. 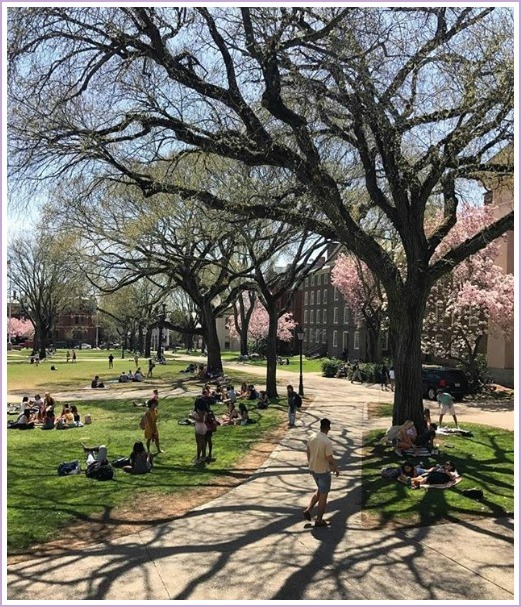 First, at a a top school such as Staples, don’t guidance counselors in theory provide the necessary assistance in advising students how to navigate the college admissions process including helping each student figure out what is best for him or her? What are the shortcomings, if any, that you see with respect to the Staples guidance counselor department? Do they need more staff, for example? My understanding is that discovering that a student has falsified an application in any manner is grounds for a college to rescind an acceptance or to expel a student if he or she is already one campus. Isn’t the fact that a student has not written an essay on his or her own and has had some significant help from a parent and/or professional such as yourself a form of falsifying an application (since the essay does not represent solely the work product of the student)? OK, I wrote that partly tongue in cheek. But more seriously, wouldn’t the entire process be better off and have far more integrity if a student had to certify on the application that he or she wrote the essay entirely on his or her own without any assistance whatsoever? After all, when a student is inside a college classroom taking an exam, there is no one helping out with that. How can any admissions office legitimately judge an essay when there are services such as yours offering all sorts of assistance with it? If there is no implementation of self-certification as I have suggested, wouldn’t the whole process benefit from getting rid of the essays altogether? Tip of the iceberg. I know of several local seniors whose college admittances (one Ivy League) were not rescinded after the kids were caught cheating on tests. A little cheating, a lot of cheating, the entire system is based on cheating, both “legal” (donate a building! ), illegitimate (let someone write your essay! ), and systemic (rich kids get a pass!). The people who benefit have had no incentive to change; in an era of perceived dwindling resources — in this case, spots at “good” colleges — people will do whatever they can to maintain or gain advantage. It doesn’t help that future earnings, rather than critical thinking ability, good character, or citizenship are now the measure of an education. Having utilized college consultants at various time for all three of my sons, I’ve been following this scandal closely. I’m glad the matter has come to light and suspect the adults involved deserve the retribution they’re getting. Hopefully they learn something in the process. At the same time, I’m highly sympathetic to Mr. Avitabile and other honest consultants who are feeling unjustly tarnished by the affair. I could tell several positive stories from my own experience, but let me focus here on just one. My oldest son Carl went through the Westport school system. His mother died when he was still at Coleytown Middle, and the resulting emotional difficulties triggered both behavioral and academic problems for him at school. However, he pulled himself together enough to make it through and graduated from Staples in 2001, albeit with a spotty record. He then decided, against my advice, to join the Navy, where to my happy surprise he started taking stock of himself and thinking about his future. Towards the end of his six-year enlistment period he decided he was now ready to have a go at college, and he asked for my help. I knew little about the admissions process, and with Carl’s so-so academic record and long hiatus since high school, I wasn’t sure college was even a practical option for him. So I started casting around for some consulting help and ran across Bill Morse, who works locally here in Westport. This is, by the way, the same Bill Morse who was written up on Dan’s blog last year because of his and his family’s association with Albert Einstein over in Princeton. However, I didn’t know about any of that at the time. Bill made me feel better right away by saying he thought Carl had a good story that would interest college admissions officers. He said they often like unusual cases that involve a young person overcoming adversity of one sort or another. He told me to bring Carl in the next time he was home on leave, which occurred a month or so later. Bill interviewed Carl in depth about his interests and ambitions, and started building up his confidence right away by taking what was obviously a genuine interest in his case. They then exchanged email addresses because Carl had to return to his ship a few days later. Bill came up with a short list of colleges he thought Carl might have a shot at. None of them were “elite” schools by any stretch, but all were practical in light of Carl’s record. Active duty sailors are extremely busy people with little time to themselves, but Carl’s ship did provide intermittent internet access, and he and Bill started communicating regularly via email. Bill advised him to be proud of his story and scrupulously honest in how he presented it to the schools. No embellishments and definitely no lies. Carl took his SATs, filed all his applications and wrote the essays himself. Bill’s role was restricted to answering Carl’s questions and helping him keep track of critical deadlines. Most importantly, he kept Carl’s confidence up. Carl could easily have lost heart and decided that he was simply too busy to pursue something that might otherwise have seemed a lost cause. Finally, one of the schools nibbled and Carl did get in. He enrolled soon after his Navy discharge and graduated four years later with a solid record. He soon found a good engineering job, got married and is now living a happy and productive life. Without Bill Morse’s intervention at the critical juncture, he could have slipped off onto a very different path. It happens to a lot of ex-military people. So the college admissions scandal angers me for two reasons, the first being simply annoyance at the behavior of people so addicted to prestige that that they’re ready to cheat to have it for their kids. But the other source of umbrage is over the damage done to the reputations of honest and effective consultants providing a vital service to families who need it. I want to thank Mr. Avitabile for posting his story and standing up for his profession.